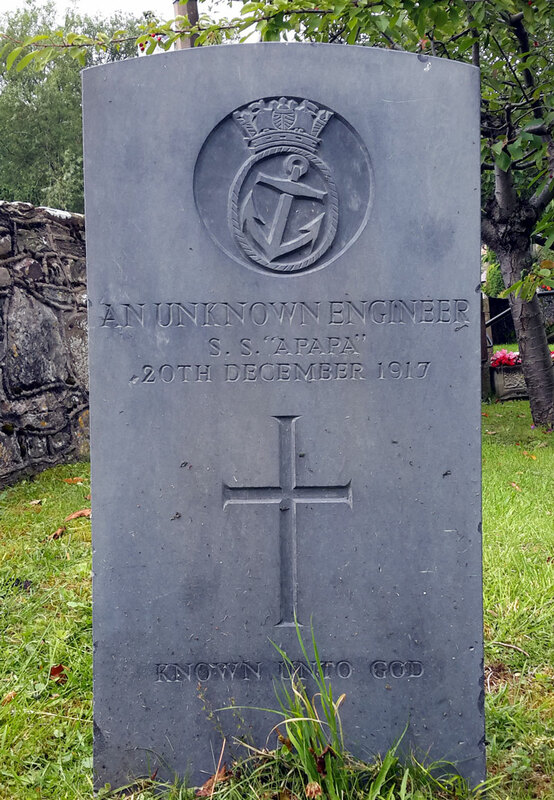 He was a crew member on the SS Apapa which was torpedoed of the coast of Anglesey on 28th November 1917. The grave has a different date -20th December 1917. Is it perhaps possible that the body was discovered on 20th December 1917? To read about the sinking of The SS Apapa, follow the link.